The bad news? The world is ending. The good news? The Bad Guys are back to save it! Sure, they might have to borrow a rocket ...And there might be something nasty in one of the spacesuits ...And Mr Piranha might have eaten too many bean burritos ...But seriously, how BAD can it b... read full description below. The bad news? The world is ending. The good news? 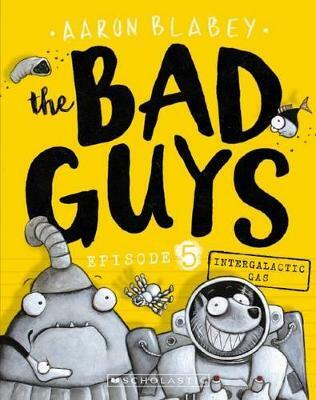 The Bad Guys are back to save it! Sure, they might have to borrow a rocket ...And there might be something nasty in one of the spacesuits ...And Mr Piranha might have eaten too many bean burritos ...But seriously, how BAD can it be? How bad?! SUPER BAD. Its one small step for the Sort-Of-International-League-Of-Good-Guys-Guys. Its one giant leap for The Bad Guys.